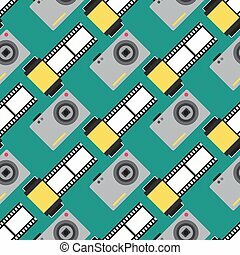 Camera photo studio optic lenses types objective retro photography equipment professional photographer look vector illustration. Digital vintage technology electronic aperture device. Photo video vector camera tools optic lenses set. 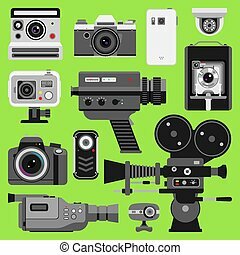 Different types photo-objective retro video-equipment, professional movie film making technic. Digital vintage technology electronic cameras device. 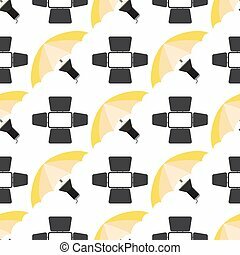 Isolated black photo camera vector illustration. Professional photographer equipment logo. Realistic object logotype. Vintage Camera on Paper Photo Frame. 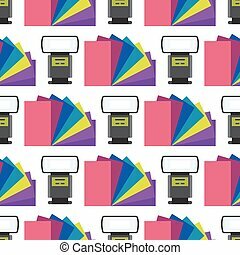 Retro Photography Icons. Vector. 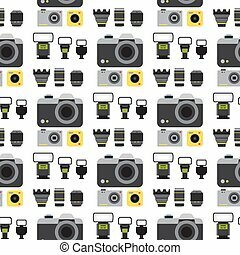 Camera photo vector studio flat optic lenses types objective retro photography equipment photography professional photographer look seamless pattern background illustration.